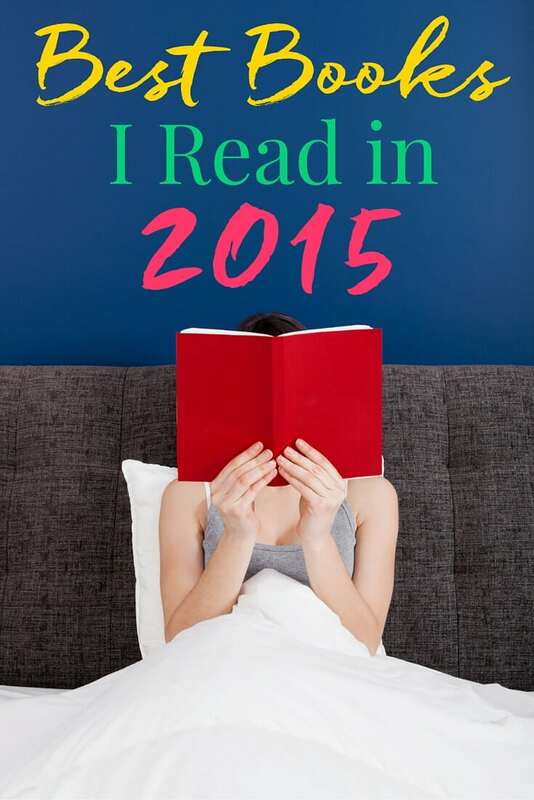 These are the Best Books I Read in 2015 and why I loved them! Wow, we’re already a week into the new year, how did that happen! But I’ve gotten in a fair amount of reading so far and I’ve already started on my 2016 reading goal of 75 books! Last year, my goal was 50 and I reached it in September or October and then only read another 4, let’s just say life got a bit crazy around that time. But I’m happy it’s slowed down and bit and I can get back to doing one of my favorite things! But I wanted to share my favorite books from 2015 with all of you, you guys loved my Best Books of 2014 post and it still receives traffic daily, and if you didn’t already see my Top Posts of 2015 list, well, let’s just say, you guys really seem to love books as much as I do! 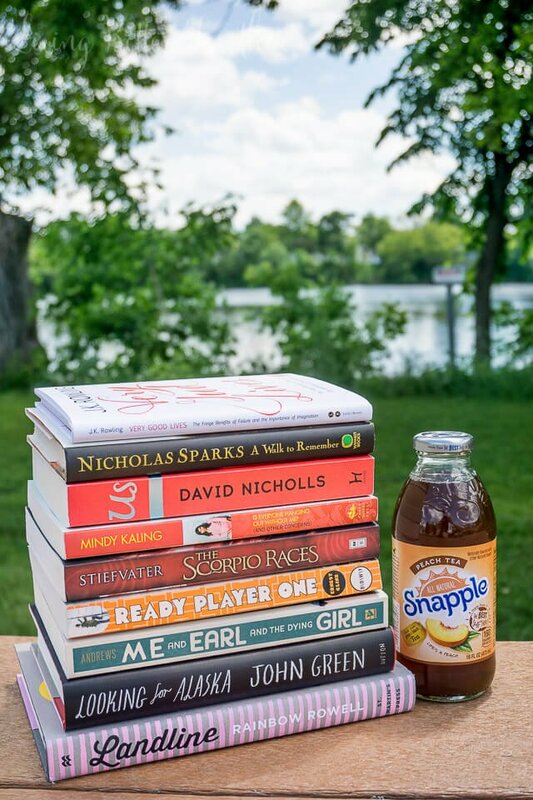 So I read some pretty amazing books last year and I also read my fair share of duds, I almost thought about writing a Worst Books I Read post, but that seemed a little harsh. But I will list the worst 5, how’s that? I want to save you guys the torcher after all, though I’m sure there will be a few of you who have read them and loved them and will put me in my place. But that’s what I love about books, just because you love one doesn’t mean someone else will, but I do still highly recommend these ones! The First Fifteen Lives of Harry August by Claire North – Review found here. Never Let Me Go by Kazuo Ishiguro – Review found here. Beautiful Ruins by Jess Walter – Review found here. The Young Elites by Marie Lu – This was such a letdown, the epilogue would have made a better story. Station Eleven by Emily St. John Mandel – Review found here. Why I Loved it: When I travel, I like to bring a book with me that takes place in the land I’m visiting. So when I was looking for books set in Iceland for my trip back in October, this book was at the top of most lists, and after reading it, I can see why. Kent has this hauntingly beautiful way of telling a story, and when you think about that fact that Agnes was a real person who lived and breathed and that she actually marks an important event in Iceland’s history, it’s all the more intriguing. Kent brings the landscape and people of 1800s Iceland to life in such a way that you feel you’re there, which isn’t hard when you’re actually in Iceland with it’s small population and grand setting. I found the story and the story within it quite compelling and look forward to more of Kent’s work. 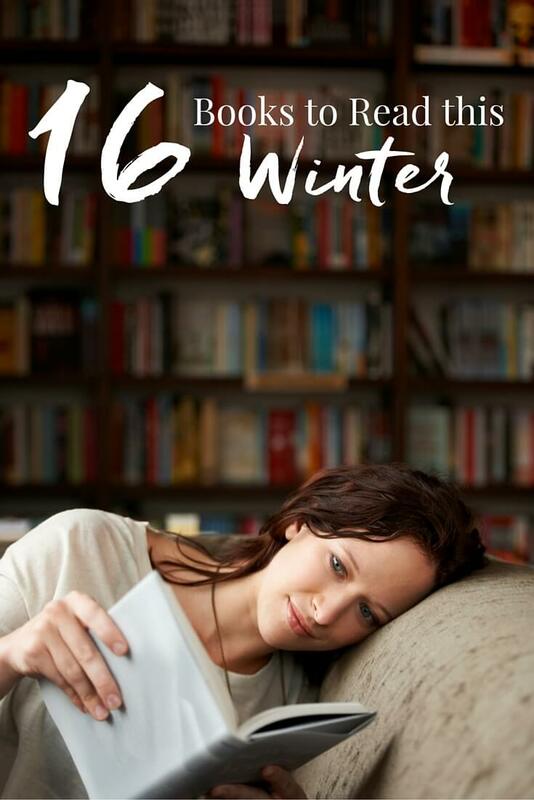 I feel like a winter afternoon is the perfect time to read this book! 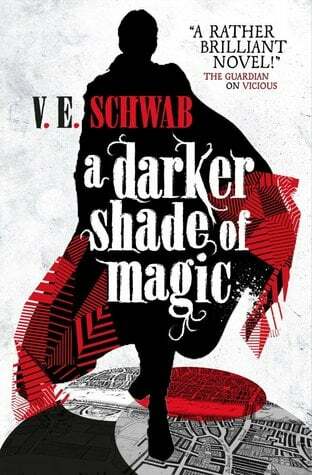 Why I Loved it: I feel like this is one of the most balanced books I’ve ever read. The characters, the good, the evil, the worlds, everything is so well balanced. So while this doesn’t make for the most exciting book I’ve ever read, it made for a really good one and a strong start to what I hope is a solid new series. Why I Loved it: I must confess, I only gave this book 3 stars on Goodreads, yet it best out books with 4 or 5 stars to make the final cut for this list. You see, I think a book can still get 3 stars and be pretty great. For me, this book had an awesome plot and cast, but it just moved really slowly… I think Mr. Lynch might suffer from some of the same symptoms of Mr. Martin… ahem. This was the first book in a series of what is to be 7, I think, and I feel like now that the foundation has been set, the next few books will have a better pace. Why I Loved it: This book is what all “end of days” books only hope to be. 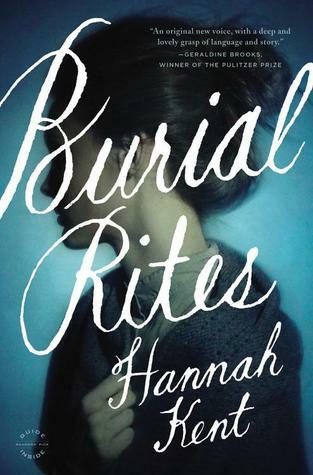 A powerful, haunting, and beautiful novel that will have your heart racing. If you think you don’t like zombie books, that’s okay, this isn’t really a book about zombies, it’s about humanity. Read my full review here. The film adaptation is anticipated to release this year. Synopsis: In the spring of 1708, an invading Jacobite fleet of French and Scottish soldiers nearly succeeded in landing the exiled James Stewart in Scotland to reclaim his crown. Why I Loved it: I picked the sequel to this book up on an Audible sale having never heard anything about it but figured I should read the first book before the second, you know, because that makes sense and all. 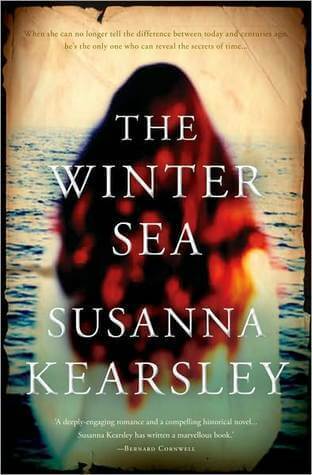 It was my first introduction to Susanna Kearsley and I’ve really come to love her writing. 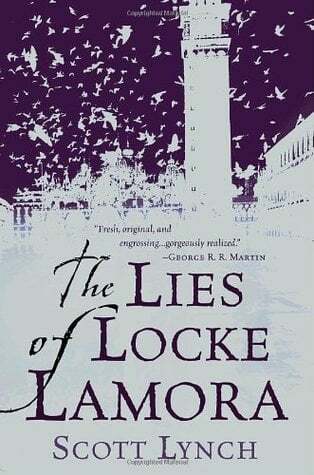 Of course, I’m a sucker for any story that takes place in Scotland, but it was such a moving story and I loved how it perfectly bounced between the two different timelines in the novel. Synopsis: It’s the year 2044, and the real world is an ugly place. Why I Loved it: Hand down the most fun book I read last year! If you grew up in the 80s, you’re in for a real treat, and even 90s kids like me can appreciate the fun this novel imbodies. You can read my full review with these Cap’n Crunch Treats! The film adaptation is set to release December 15, 2017. 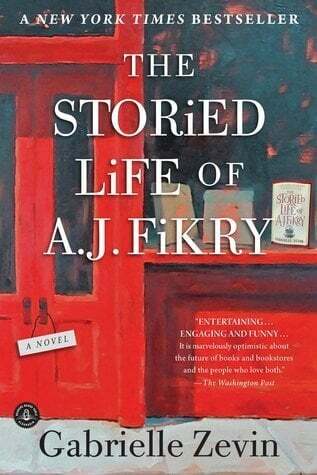 Synopsis: A. J. Fikry’s life is not at all what he expected it to be. He lives alone, his bookstore is experiencing the worst sales in its history, and now his prized possession, a rare collection of Poe poems, has been stolen. But when a mysterious package appears at the bookstore, its unexpected arrival gives Fikry the chance to make his life over–and see everything anew. Why I Loved it: By the time I got to the end of this book I was teary eyed and ashamed. Teary eyed because it was such a beautiful story and ashamed because I listened to it on audible. It’s about a small independent bookstore owner, the irony was not lost on me and I almost immediately ran down to the bookstore on the first floor of my office to get an actual copy. I still will, but later this week – see this book was so good it made me buy it twice. This book is about second chances. It’s got a great cast of characters and it takes place on an island in New England. Now, I really loved having this story told to me, the narrator was great and really carried you through the story in a seamless way. The book is a bit of an emotional rollercoaster and really tugs at the heartstrings. it’s a short book and a story you can get caught up in. Synopsis: Holly couldn’t live without her husband Gerry, until the day she had to. They were the kind of young couple who could finish each other’s sentences. When Gerry succumbs to a terminal illness and dies, 30-year-old Holly is set adrift, unable to pick up the pieces. But with the help of a series of letters her husband left her before he died and a little nudging from an eccentric assortment of family and friends, she learns to laugh, overcome her fears, and discover a world she never knew existed. Why I Loved it: Can you believe the film adaptation for this came out over 8 years ago now. More than likely, if I see a film first, I’ll never pick up the book, but for this one, I did. You see, the movie was so far out of my memory, that I didn’t quite remember everything that happened and it seemed like the perfect book to accompany me to Ireland. Not only is the book BETTER, it almost always is, but it’s different too. 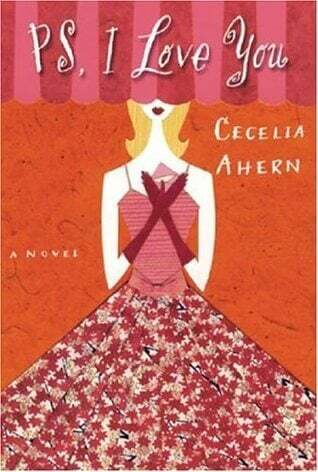 Where the film takes place mostly in New York, the book is set almost entirely in Ireland with different characters and a much better ending. Read my full review here. Synopsis: Six days ago, astronaut Mark Watney became one of the first people to walk on Mars. Now, he’s sure he’ll be the first person to die there. 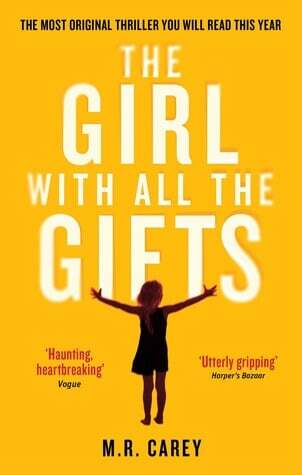 Why I Loved it: This book sat on my to-read list for far too long, and why I finally picked it up, I was riveted. Mark Watney is one of the funniest characters I’ve ever met in a book and he’s kind of a badass botanist too! Matt never wanted to read it because it sounded like Castaway in space… wrong. This book is a million times better! 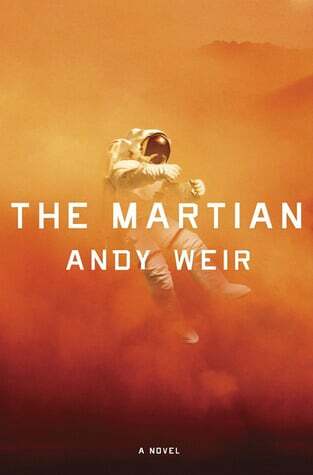 The film came out in November and is getting a fair amount of Oscar buzz, Matt Damon did an excellent job portraying Watney, but I still recommend reading the book before watching it! 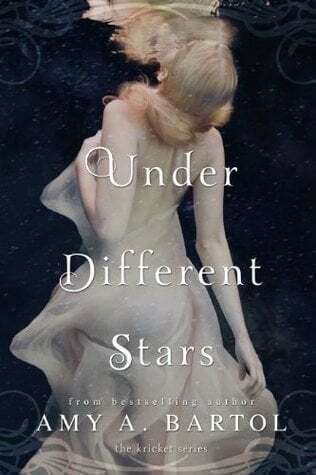 Synopsis: Kricket Hollowell is normally not one to wish upon stars; she believes they’re rarely in her favor. Well versed at dodging caseworkers from Chicago’s foster care system, the past few years on her own have made Kricket an expert at the art of survival and blending in. With her 18th birthday fast approaching, she dreams of the day when she can stop running and find what her heart needs most: a home. Why I Loved it: So I picked this book up because it was really cheap on Audible, I do that a lot, and while sometimes I’m really let down, most of the time I’m surprised. Having never heard of this series before, the cover drew me right in. I LOVE the universe Bartol sets up within the series and I adore the characters. By the end of the series, Bartol will have you all mixed up in circles, not knowing how to feel, but it’s good, I can promise you that much. I think if you love fun and quick YA or fantasy, you’ll really enjoy this series! P.S. I’m going to a secret signing hosted by Bartol in May and I can’t wait! Synopsis: It all starts on the one-hundredth birthday of Allan Karlsson. Sitting quietly in his room in an old people’s home, he is waiting for the party he-never-wanted-anyway to begin. The Mayor is going to be there. The press is going to be there. But, as it turns out, Allan is not… Slowly but surely Allan climbs out of his bedroom window, into the flowerbed (in his slippers) and makes his getaway. And so begins his picaresque and unlikely journey involving criminals, several murders, a suitcase full of cash, and incompetent police. As his escapades unfold, we learn something of Allan’s earlier life in which – remarkably – he helped to make the atom bomb, became friends with American presidents, Russian tyrants, and Chinese leaders, and was a participant behind the scenes in many key events of the twentieth century. 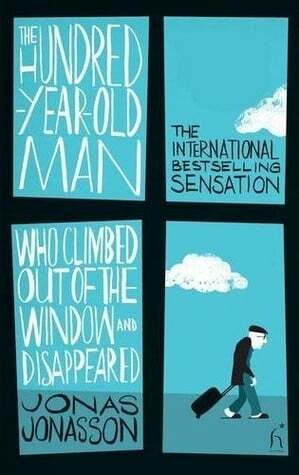 Already a huge bestseller across Europe, The Hundred-Year-Old Man Who Climbed Out of the Window and Disappeared is a fun and feel-good book for all ages. 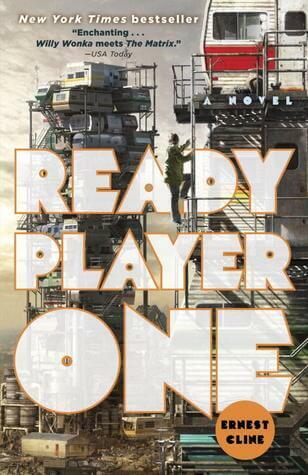 Why I Loved it: When I said Ready Player One was the most fun book, it was, but this was a close second. This was like the European Forrest Gump, only Allan is 100 years old and we look back on his crazy life and how he had a hand in some of the most monumental events in recent history as well as the crazy situation he’s caught himself up in on his hundredth birthday. A little long, but so fun! The foreign film adaptation came out last year, but I have yet to see it. Synopsis: The year is 1772, and on the eve of the American Revolution, the long fuse of rebellion has already been lit. Men lie dead in the streets of Boston, and in the backwoods of North Carolina, isolated cabins burn in the forest. Why I Loved it: The truth is, I listened to the last few books of the Outlander series so fast, that they all kind of run together. But looking back, this is the one I gave 5 stars this year. 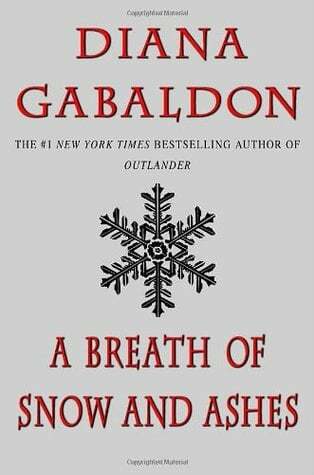 I love Diana Gabaldon, I think she’s one of the best writers of our time. And though her books are long and no one can survive the odds as many times as the Frasers, they’re fun, they’re entertaining, and they’re addictive! Why I Loved it: Of the 54 books I read last year, this is the one that broke me. You can find my full review here. The film adaptation comes out this summer, make sure you read the book first! Synopsis: Darrow is a Red, a member of the lowest caste in the color-coded society of the future. Like his fellow Reds, he works all day, believing that he and his people are making the surface of Mars livable for future generations. Why I Loved it: Another book that sat on my to-read shelf for far too long. I owned it on Kindle for almost a year, then when it popped up for $2.99 on Audible, I grabbed that too and convinced Matt it would be a good book for us to listen to together. Boyo was I effin’ right! After the first two hours of listening and laying some ground work, this epic story of Darrow the Helldiver truly takes off! 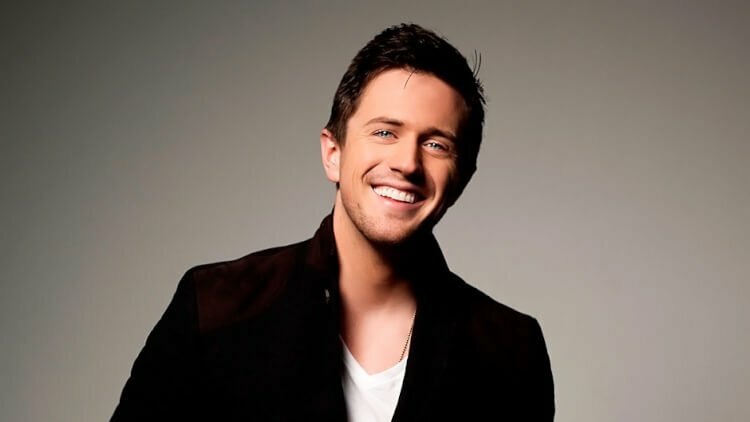 Pierce Brown is bloody brilliant and did I mention he’s also probably the hottest writer out there on top of it all! See… I told you! Anyways, if I was going to recommend a book or series to anyone and everyone, it would be THIS ONE! Imagine Hunger Games, Star Wars, Game of Thrones all mashed up into one incredible book… *mind blown* right? So why haven’t more people read this book, it makes me sad and it makes me question people, just go get the bloodydamn book already! I own it on Audible, Kindle, and Hardcover… the only book that’s ever happened with, so obviously, I love this book! Darrow and the Howlers will not let you down. Pinky promise! 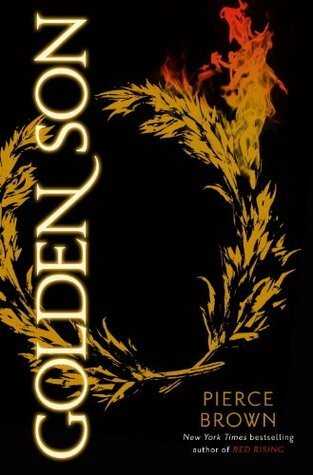 Synopsis: Golden Son continues the stunning saga of Darrow, a rebel forged by tragedy, battling to lead his oppressed people to freedom from the overlords of a brutal elitist future built on lies. Now fully embedded among the Gold ruling class, Darrow continues his work to bring down Society from within. Why I Loved it: Yes, that’s right, two books for the same series and same author made the list. I don’t normally do that, but these books are just. that. good. While Red Rising was pretty amazing, Golden Son leaves it in the dust. This book IS one of the BEST books I have EVER read, and that’s not a list I put together lightly. But here’s the thing, no book has ever made me feel the way the scene in the mines with Ragnar, Darrow, and Mustang did. I was on edge, I was crying, I was heartbroken, yet at the same time my heart was filled with joy and relief and then it was slightly crushed again. Pierce Brown knows how to move his audience, to wrap them around his finger and either break them or inspire them to rise up in a rebellion that isn’t even real. We finished listening to the last quarter of this book while we were in Scotland, and when the last chapter came to a close, we just sat in silence, reeling with what had just happened. So many emotions, yet we were speechless. Of all the books I read, this is the one that continues to command my thoughts, luckily, Brown released the first 3 chapters of Morning Star last month. And while it was nice to have a little taste of the final book, the next 5 weeks of waiting might just kill me! I’ve already pre-ordered a signed hardcover and the Audible book, which I highly recommend because the narrator is also amazing! Such a great list! 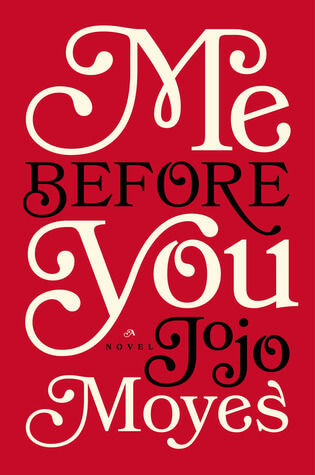 I read Me Before You and The Martian last year as well. I actually started reading The Martian in the fall with the intention of finishing it before seeing the movie. But I just couldn’t wait haha! I loved loved loved the movie! I continued reading the book after watching the movie and found it to be even more vivid. I’m adding P.S. I Love You, The Winter Sea (which I’ve been very curious about. Thanks for helping me decide! 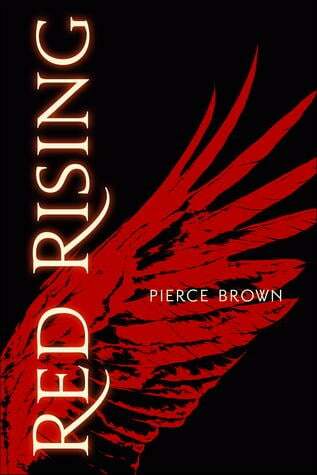 ), and Red Rising to my never ending to-be-read list.